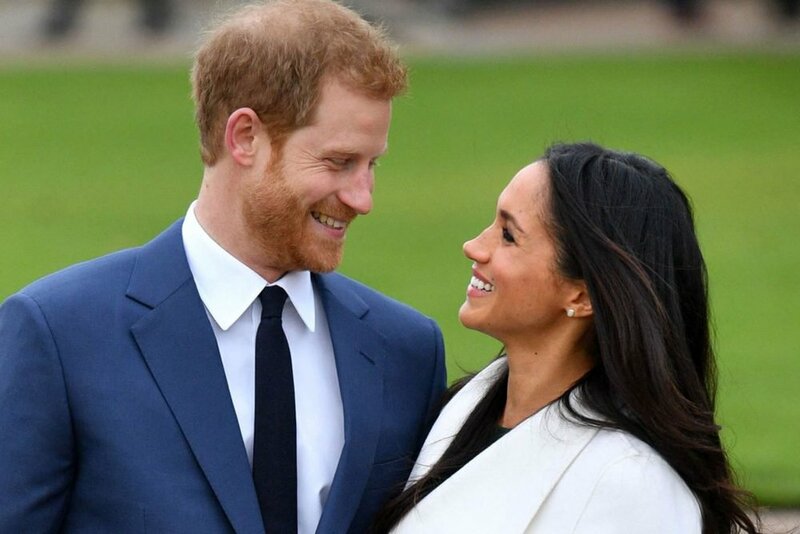 The world awaits the birth of Prince Harry and Meghan Markle’s first child. We cannot explain the euphoria that comes with the arrival of a royal baby. When Duchess Kate Middleton gave birth to her three children, the news made headlines around the world. But Meghan’s case is even more special because she is one fo the most talked about royals in the family. 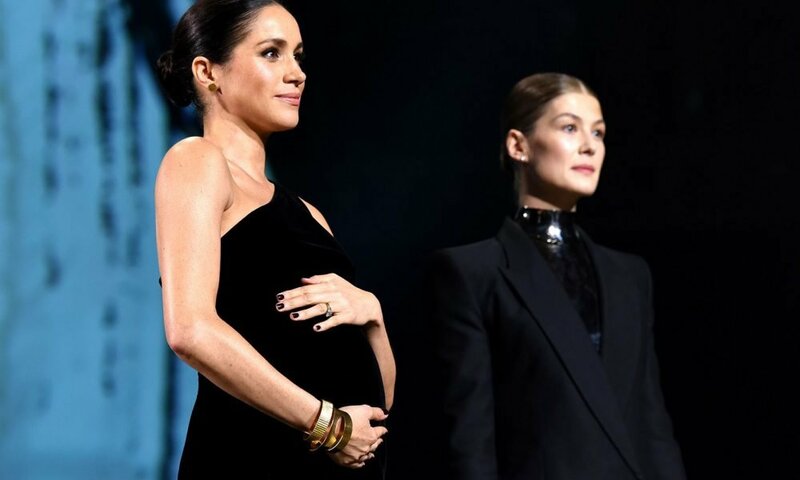 Meghan’s pregnancy has become the favorite topic in British tabloids, and all eyes are on the Duchess as she prepares to welcome her little bundle of joy into the royal family. 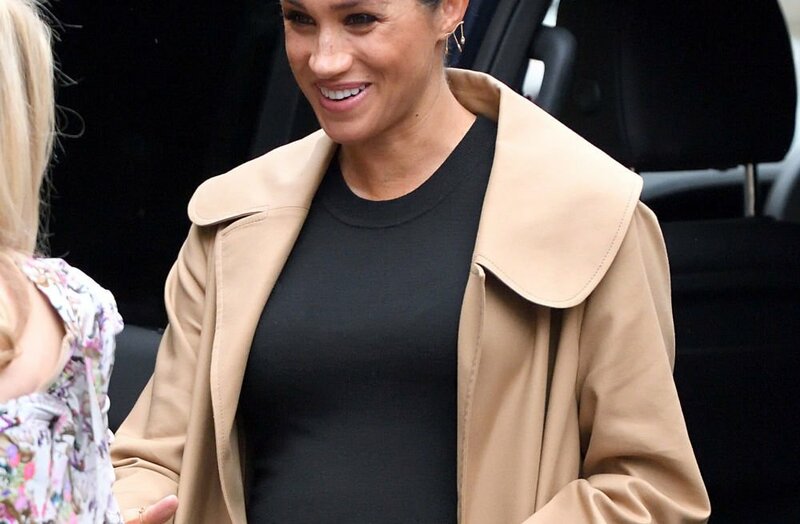 But what has really grabbed out attention is Markle’s strange habit to cradle her bump in public. Fans are confused as to why the Duchess loves touching her baby bump so much when she is out and about. Some say that she is obsessed with her pregnancy while others are of the view that she’s being protected of her future child, making sure that it isn’t harmed in any way. 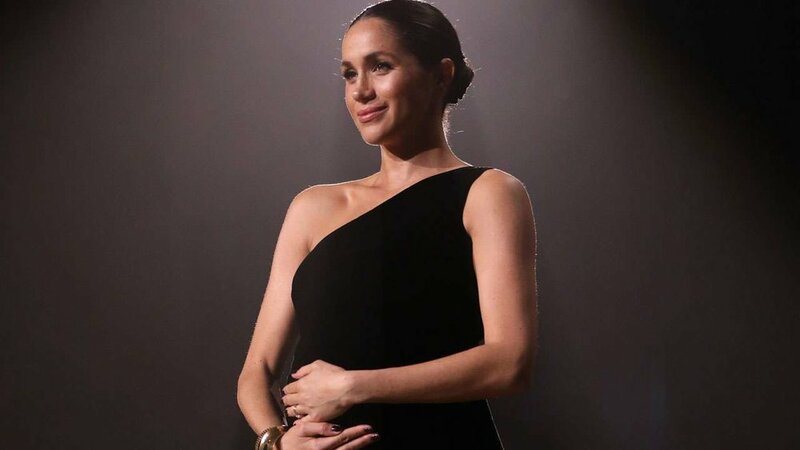 Experts have given a clear and sweet reason why Markle can’t keep her hands off her baby bump. According to Katharine Grave, an expert on hypno-birthing, explained that the hardwired in pregnant women draw them to cuddling their unborn babies. Oxytocin is the hormone responsible for bonding between mother and baby which influences the type of contraction that happens during labor. When Markle puts her hands on her bump, she is comforting her baby and this supports a smooth labor.